World Changes Mind! DREDD Now A Massive Hit! | Birth.Movies.Death. World Changes Mind! DREDD Now A Massive Hit! In this case "massive hit" means "no longer a massive embarrassement." This weekend Arnold Schwarzenegger's The Last Stand tainted the former governor's return to action films with a big, fat 1,000,000th place in the box office top ten list. While The Last Stand certainly isn't the greatest action movie ever, it is far better than average, a truly fun and well-shot film that feels alive and doesn't hold back on the bloodshed. The Last Stand's failure instantly reminded me of Dredd's failure last year. Dredd was another really fun R-rated action film that delivered pretty much everything action fans ask for and received almost no audience support as a reward. 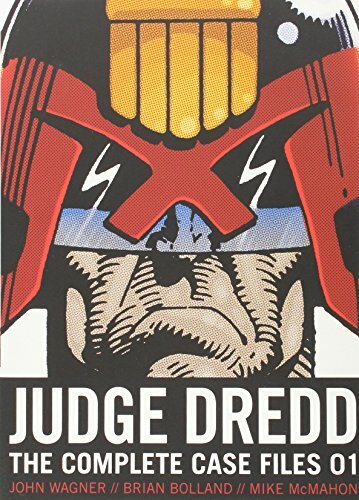 The verdict is in and Lionsgate (NYSE: LGF), a leading global entertainment company, announced today that the home entertainment release of DREDD claimed the number one spot on the DVD sell-through and Blu-ray charts with 650,000 units sold, making it the best-selling new release title of the year. Blu-ray units accounted for nearly 50% of week 1 POS at retail. In addition, the critically acclaimed thriller, starring Karl Urban (Star Trek) as the titular character Judge Dredd, was the top film download for the week, outpacing all other titles in digital sales as well. It's doubtful this will be enough for them to make a sequel, but it at least soothes the pain of a good film flopping unfairly. Perhaps a similar fate awaits The Last Stand, to say nothing of the far superior Cloud Atlas. In any case, it's nice for Dredd to finally have a little happiness. If the Judge were here right now, he might even break his grimace long enough to smile. And then he'd take his helmet off. And sing "The Candy Man." So let's all be thankful he's not.